The A & B Stories: Easter is coming! This is the first year that Ben is really going to be into the whole Easter business, and we are SO excited to give him some little surprises! We have an egg hunt planned that will be plastic eggs filled with Thomas trains...most of his trains are Imaginarium trains, he only has a few of the actual Thomas set so he's going to freak out. We are going to have them lead to this little backpack!! 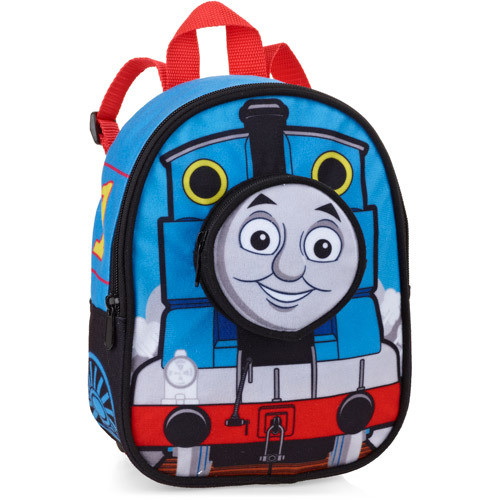 Yep, he's going through a major Thomas phase right now so he is going to be thrilled. The backpack will be filled with some little toys, chocolates, and The Amazing Machines Book Set. He has Amazing Airplanes and it's one of his favs so we can't wait to read them all with the boys! We are also going go to a nearby farm for an egg hunt and to meet the Easter Bunny. So excited! Ok, so I might be more excited than I should be. Not a bit sorry!